At TokyoTechie, not only do we perform collaborative development with our clients for existing games that they may have but also develop games right from scratch. Our gaming aces have the potential to transform a simple game idea into a complete, marketable game. 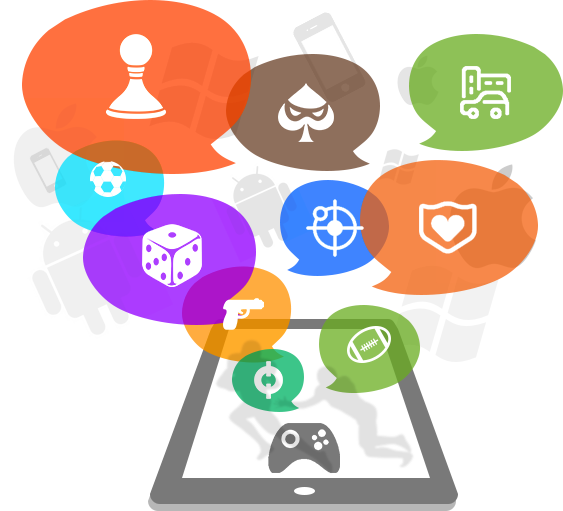 As a Mobile Game Development Company We develop a great deal of games for Android, iPhone and Windows phone among others for a variety of target sectors like a requirement in XNA, Flash or HTML5. We display immense experience in 3D game development engines such as Unity3D and also in 2D game development kits like Cocos 2D and Corona SDK. So if you are looking for the Mobile game developement Company Contact us. Our engineers and artists use Unity, Maya, Corona, Cocos2D, and many other industry-leading tools to create the best gaming experience.